15mm 73500 High Density Artificial Grass For Basketball Pitch With PP Curled Yarn Specification of artificial grass for basketball: - - - - Model No. | GOV01-15 | Product series | Synthetic Basketball Court | Yarn type | PP curled yarn | Application | Basketball field, Tennis court, Golf court | Color | Bi-color | Pile height | 15mm | Dtex | 5000 | Gauge | 3/16 | Stitch rate | 350 stitches/m | Density | 73500 tufts/sqm | Minimum order quantity | 400sqm | Pile content | UV-resistant, no heavy metal, fire resistant | Fire resistant | Approved by SGS | Backing | PP+Reinforced net+SBR/PU backing | Guarantee | 5 years | Production time | 10-15 business days | Roll width | 4m, 2m or customized | Roll length | 25m or customized | Loading advice | 2000sqm in a 20ft; 4000sqm in a 40ft | - - - - Advantages of artificial grass for basketball: 1) Excellent UV-stability and environmentally friendly 2) 100% PP yarn system 3) Simple installation and low maintenance 4) No weather limited: It can be used in any climate, no natter rain or snow. All weather used. 5) Long life&evergreen: When natural grass enters hibernation, it can bring you the feeling of spring. 6) Environment friendly: All the materials are accord with environmental protection requirement. 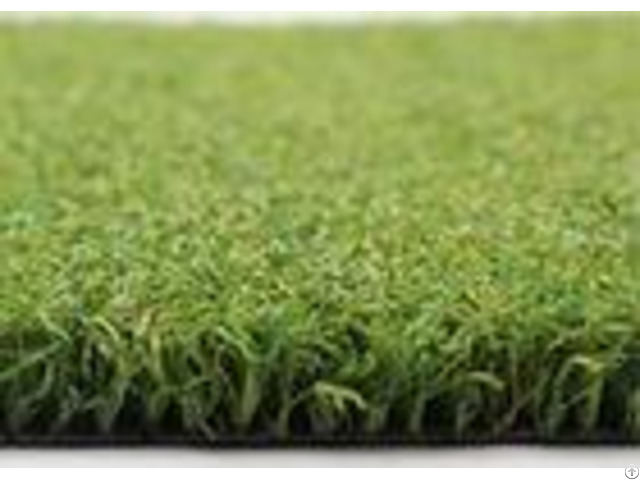 With no sand infilled, the artificial grass could be easily recycled after few years when you needto change a new one. Company Profile: Changzhou Grace Grass Co., Ltd is located in Changzhou, Jiangsu, enjoying convenient transportation and beautiful environment, near Shanghai, 1 hour by fast train. 90% of our production equipment is imported from America and Germany to offer our customers the best competitive advantage PRODUCTS. 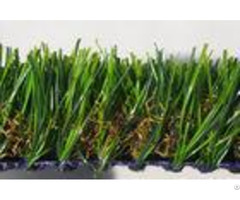 Grace Grass is mainly used for sports artificial grass, like football grass, Tennis court grass, Hockey field, the other is landscape and recreational grass. Selling well in all cities and provinces around China, our products are also exported to clients all over the world, especially USA, Canada, Australia, Europe and etc. Dedicated to strict quality control and thoughtful customer service, our experienced staff members are always available to discuss your requirements and ensure full customer satisfaction. In addition, we have obtained SGS certificates. We also welcome OEM and ODM orders. Whether selecting a current product from our catalog or seeking engineering assistance for your application, you can talk to our customer service center about your sourcing requirements. FAQ: 1. How can I get asample? You can get samples by communicatingwith our sales. 2. How long is delivery? Delivery time will be 15-25 work days according to order quantity. 3. What is the MOQ? Our MOQ is 300-500 sqm for this synthetic turf artificial grass for basketball court. 4. What is our normal payments terms? Our normal payment terms is: US$5000, fullT/T paymentin advance. >$5000, 30% T/T deposit before production, 70% balance before shipment. 5. How do I order your products? You can check our website for any items you interested, talk with oursales, then order for it accordingly. 6. What isthe materialof our products? 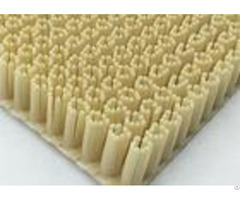 Our products use material such as: PE, PP, EVAand other modified engineering plastic. All the products are eco-friendly, non-toxic, kids and pets friendly. It's safe. 7. Can we do OEM orODM? Yes, we could provide OEM or ODM. 8. What is our normal packing? Our normal packing is carton orPPwoven bags or PE film with cardboard. 9. Can we provide customized packing? Yes, we could provide customized packing based on certain MOQ quantity. If the customized packing cost is different from our regular packing, the price would be changed accordingly. 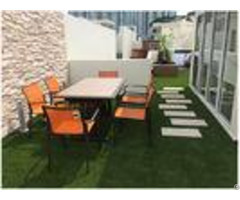 Business Description: More than 10 years experience of artificial grass. Quality is our culture.We not only supply professional guidance for our customers, but also we could provide one-stop purchasing service and professional after-sales service.